I'm a sucker for a pretty phone case, and a few beautiful cases have fallen into my possession recently, so I thought it was about time I put together a little blog post about them. I'm never one to shy away when it comes to phone cases, so I always opt for something ultra girly and cute, as you can probably tell. 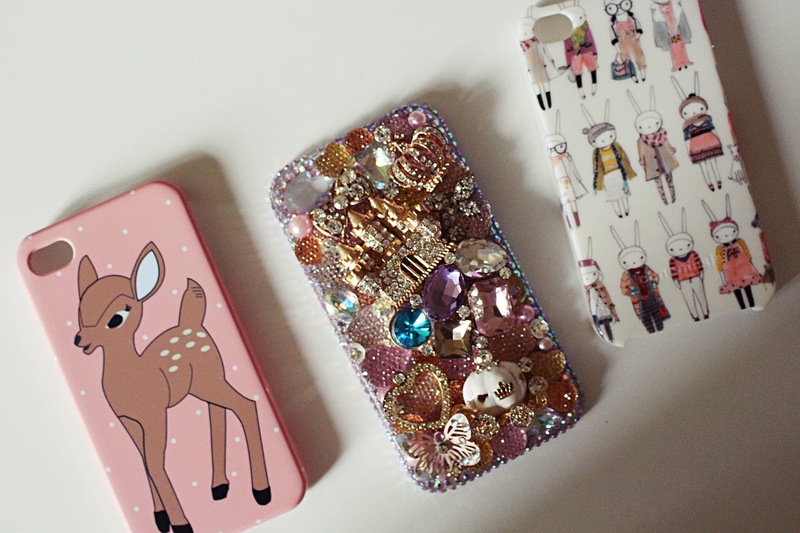 The deer phone case* is from a super cute online shop called Loving Dot that sells some amazing unique designs of phone cases, prints, mirrors and much more. I've been meaning to blog about it for ages now but it's been firmly attached to my phone so I haven't had a chance. Loving Dot even do cute nail transfers of their designs too, which are definitely worth checking out! 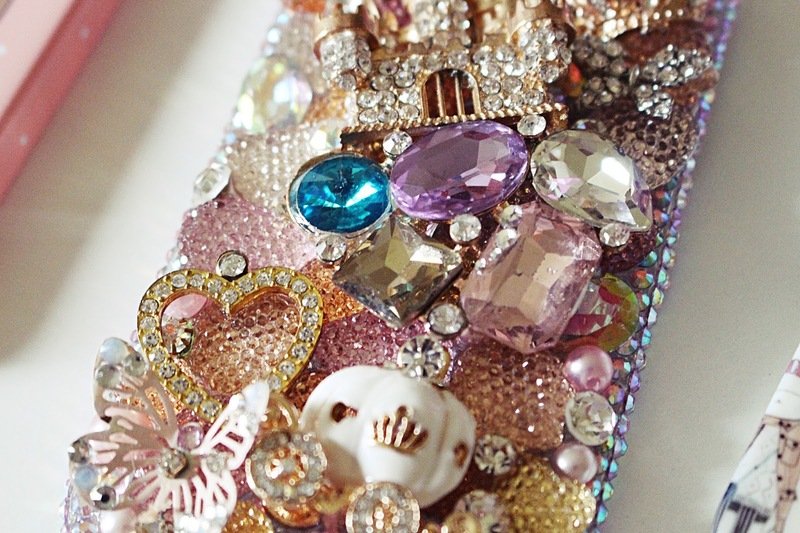 The super glitzy phone case* is from none other than Lux Addiction, a website I became familiar with years ago after seeing lots of reviews on YouTube. Lux Addiction are most definitely the best cases around if you want something ultra sparkly; a real statement case. They have dozens of gorgeous designs, and whilst their cases are pretty bulky, you just can't beat how completely amazing these look, especially when you pull your phone out of your bag to be met with tonnes of 'Wow, your phone case is gorgeous!' comments. They're not the cheapest, but I find these don't fall apart like a lot of chunkier cases, and they are definitely worth every penny for the ultimate statement case. Finally, Iconemenis are one of my favourite companies when it comes to phone cases, as they have such a fab range of different designs, and I've worked with them a few times in the past. 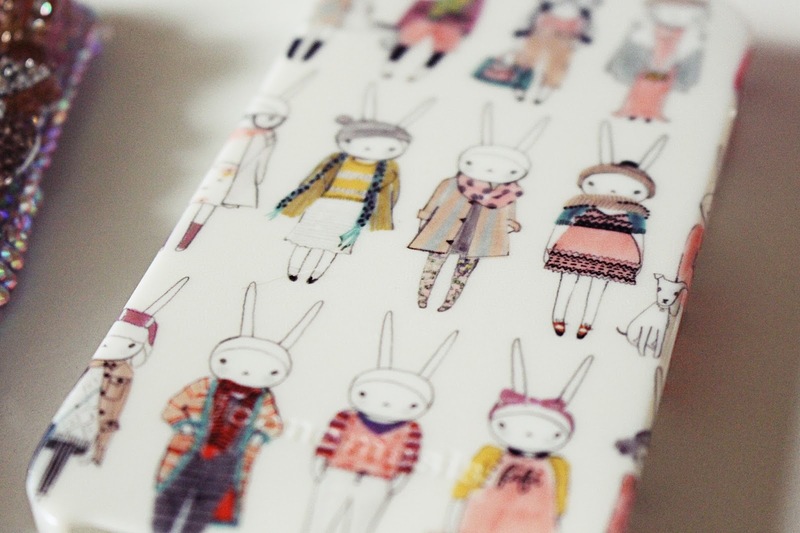 I couldn't resist this beautiful Fifi Lapin case* - pastel colours and a fashionable bunny rabbit? It was obviously meant to be. 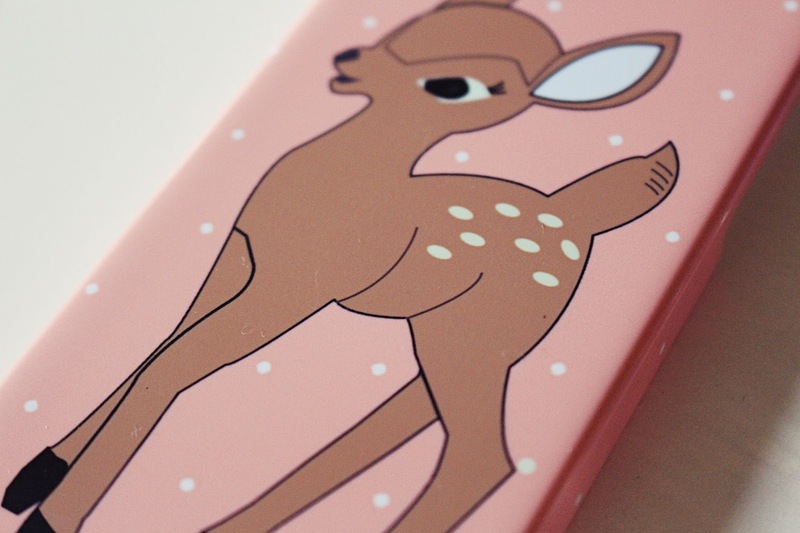 It's a really good quality case and most definitely has the cute factor! Where are your favourite places to buy phone cases from? I've built up quite a collection, but as I'm hoping to switch to an iPhone 6 very soon, it looks like I'll be needed some new cases asap!